At Advent and Christmas the Church uses music to help worship soar: to express what we want to say to God for the birth of his Son, Jesus, in the stable at Bethlehem. The Advent Procession and the Service of Nine Lessons and Carols provides us with rich and elaborate music performed by the Cathedral Choir who use their skills to catch us up in a resounding chorus of praise to God. The service of Carols for All is an opportunity to join in the Church of Ireland’s rich musical tradition of congregational singing, led by the Choir and accompanied by the Cathedral’s majestic organ. We invite you to attend these services to offer your thanks to God with heart and mind and voice. The Advent Carol Service is one of the year’s most dramatic services which moves from darkness to light. Words and music focus on the Advent theme of light in darkness, hope in despair, and a new relationship with God in Christ. Sung by the Cathedral Choir (Schola & Men’s voices). Harpist Andrea Malir joins Schola Patricii for their annual performance of Britten’s beautiful A Ceremony of Carols. Written for harp and treble voices, A Ceremony of Carols begins with an unaccompanied procession, ‘Hodie Christus natus est’, before the harp joins with the choir for a series of carols telling the traditional story of the birth of Christ. The service of Carols for All is an opportunity to join in the Church of Ireland’s rich musical tradition of congregational singing, led by the Choir and accompanied by the Cathedral’s majestic organ. Early arrival is advised – suitable for all ages, children especially welcome. Sung by the Cathedral Choristers (Boys’ & Girls’ voices) and the Gentlemen of the Cathedral Choir. Join the Wise Men as they make their journey to visit Jesus in this moving and beautiful service which follows the story of Jesus from his birth through to his childhood and on to his adult life. Some of the most beautiful music of the year is sung by the Cathedral choir in this popular and special service. 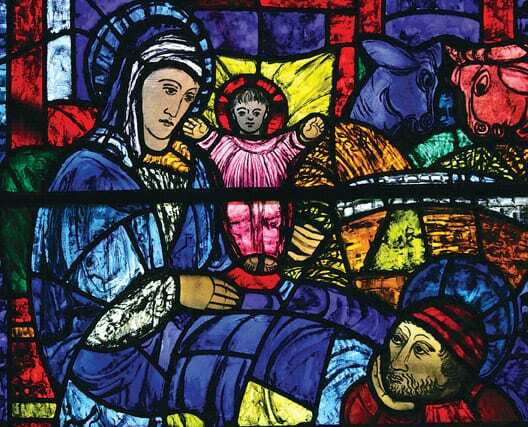 Messiaen’s organ meditation on the mystery of the birth of Christ, interspersed with readings and prayers. Performed by Cathedral Organist, David Leigh.